We have for sale used sets of 4 x d&b Audiotechnik E3 Loudspeakers, these are all in good condition and the price shown is per fixture. 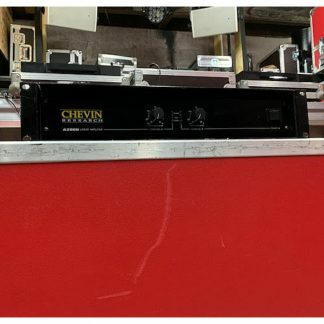 Includes dual flightcase, in excellent condition. 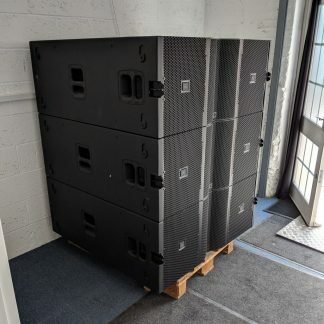 Sets of 4 x d&b Audiotechnik E3 Loudspeakers in good condition. 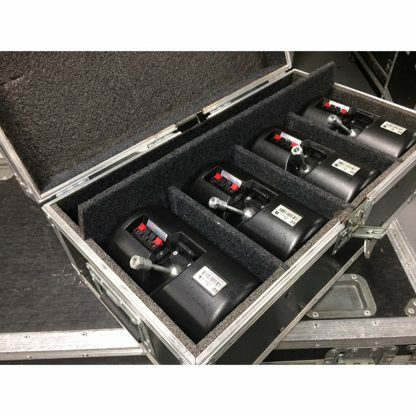 d&b audiotechnik E3 is a very small and versatile high performance system with astonishing sound and excellent headroom, enables a variety of applications, also as an extremely compact stage monitor. The horn may be rotated to give either 90° x 60° or 60° x 90° coverage. 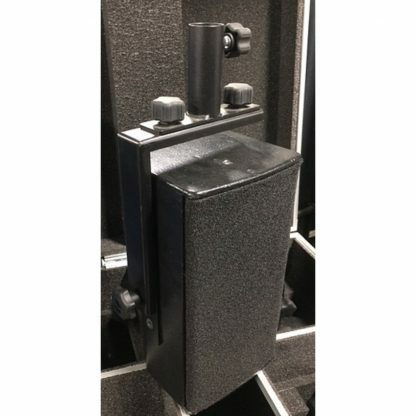 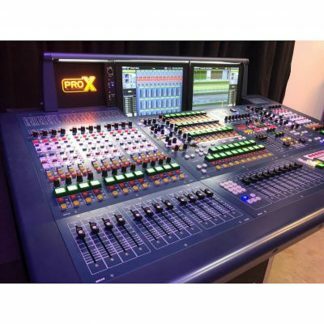 It has the necessary flexibility in directivity to enable a variety of applications such as delay, infill or distributed sound reinforcement applications. 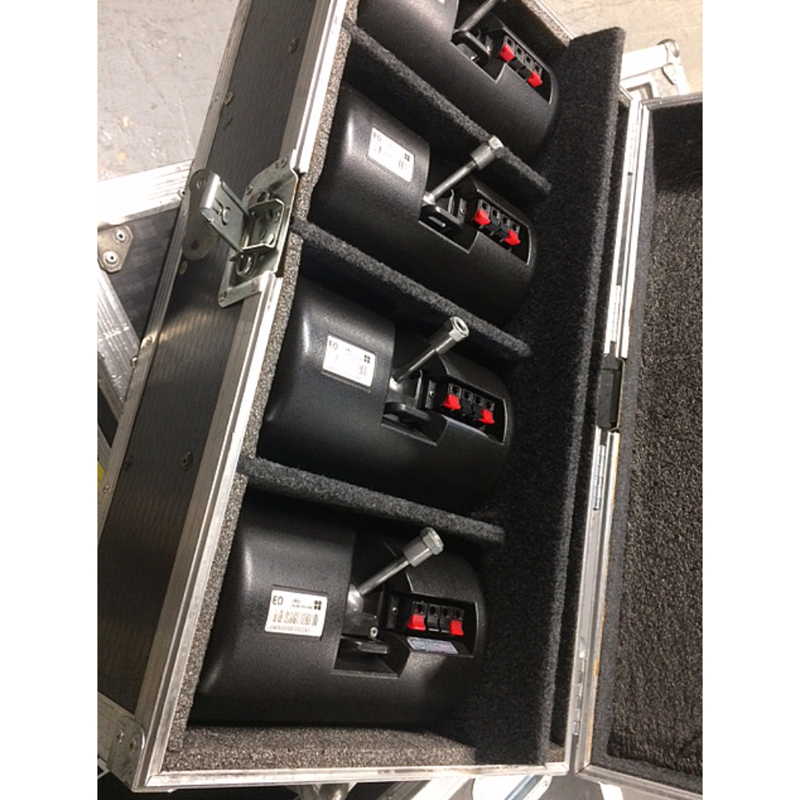 In addition, it can be used as an extremely compact stage monitor. 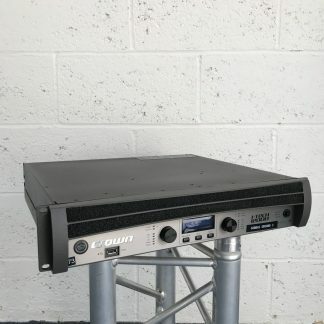 Together with a subwoofer system the d&b audiotechnik E3 is also capable of reproducing live or playback music at continuously high SPLs. 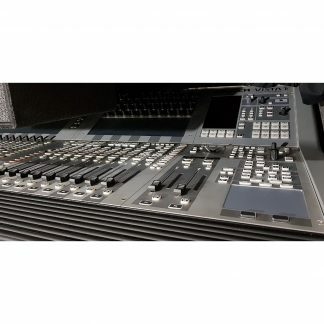 The d&b E3 cabinet is constructed from marine plywood with an impact resistant paint finish, and with its asymmetrical shape and eight M8 threaded inserts for mounting accessories the E3 can be deployed in almost any position. 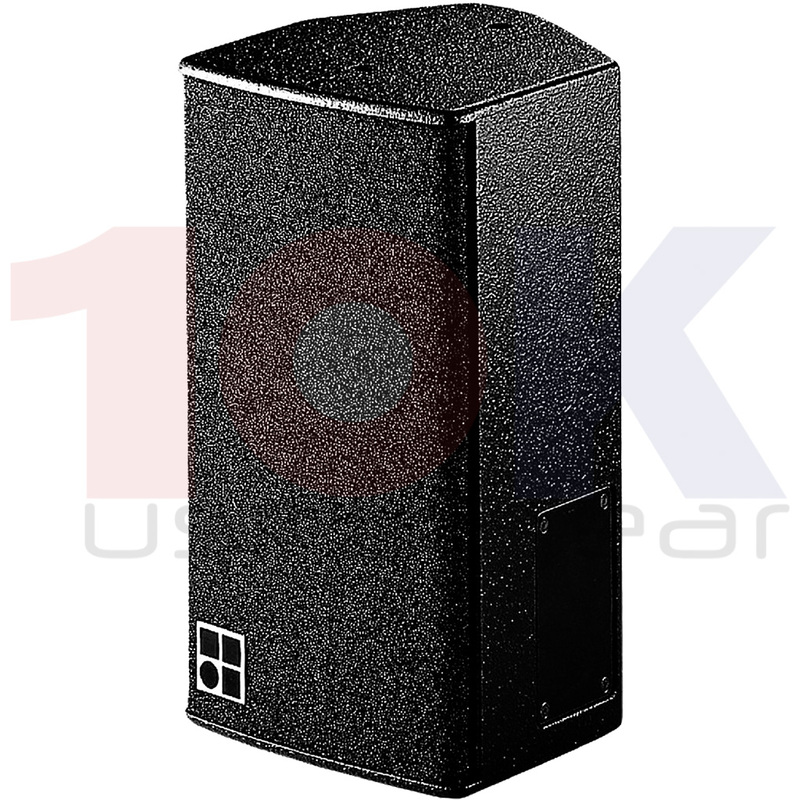 The loudspeaker cabinet is also available in Special Colour (SC) and Weather Resistant (WR) options.